Brixham is the smallest of the three towns that make up Torbay and is protected by the limestone arm of Berry Head at the bay’s southern extremity. Originally, there were two separate communities – Cowtown at the top of the hill, and Fishtown at the bottom around the harbour, but it’s fishing that has had the major impact on the town’s fortunes. 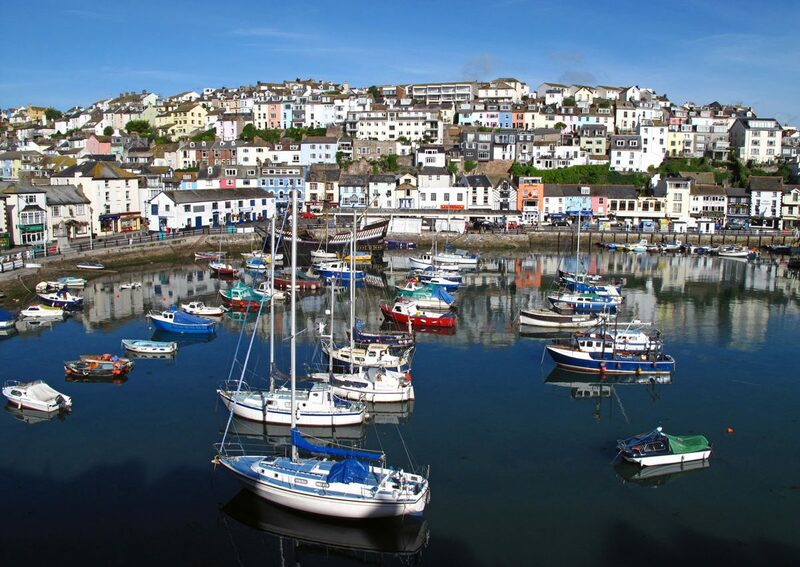 Today, Brixham is one of the three biggest fishing ports in England, the others being Plymouth and Newlyn. Which port is actually the biggest depends on whether it’s measured by the size of the fleet, the size of the annual catch or the amount of revenue generated. The sea has always played an important part in Brixham’s heritage, and it was here that William of Orange landed on 5th November 1688 during the ‘Glorious Revolution’ which ensured that the English throne – and the country – remained Protestant. Every year on the anniversary of William’s landing a small contingent of Orangemen come here to remember it. One person who was more sympathetic to Catholics was the Anglican vicar of All Saints Church – Henry Francis Lyte. He lived at Berry Head and will forever be remembered for composing the hymn “Abide with Me”. Tourism also plays an important part in Brixham’s fortunes these days, but fishing is, and always has been, the most important part of Brixham life, but earning a living from it has never been easy.